Set on 140 acres in Craftsbury Common, Rebel Yell is a place where artists can write, record and be creative without distraction. 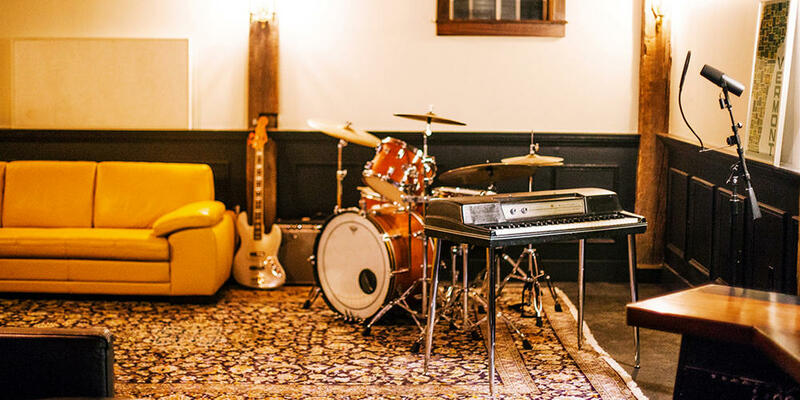 The retreat is associated with Signal Kitchen, the Burlington-based recording studio and performance venue. It’s a romantic notion: heading out to a cabin in the middle of woods, completely detached from civilization, ready to create whatever it is you were born to create. 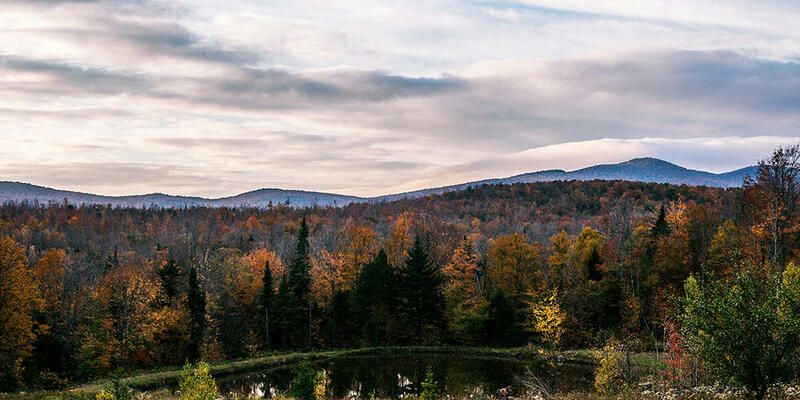 Two Vermonters have taken this dream and turned it into reality with Rebel Yell, a cabin in the Northeast Kingdom set on 140 acres of solitude where artists can write, record and be creative without distraction. Alex Lalli, co-owner of both Signal Kitchen in Burlington and Rebel Yell, joined Vermont Edition to talk about the new space in Craftsbury Common. Lalli says the remoteness of the cabin isn’t its only attraction to artists. “It’s off the grid, it’s all solar powered and it’s pretty buried in the wilderness on 140-acre plot of land. So you’re pretty far removed from the things that bog us all down, or certainly bog me down, day to day. So it’s a unique opportunity to just kind of focus on whatever that thing you’re focusing on is,” he explains. Alex Lalli, co-owner of both Signal Kitchen in Burlington and Rebel Yell, says that the two bands who have stayed at the cabin so far have been very productive. Lalli says that both groups of artists left Rebel Yell with a lot accomplished. “They both went there not to record, but to write, and they both wrote a significant amount more content than they thought they would write,” he says. So how does Rebel Yell fit in with their Burlington-based recording studio Signal Kitchen? Lalli says they’re not quite sure yet. “The way we interacted and met with these [bands] is they were playing a show at Signal Kitchen and we were settling up the night with them and at a certain point they said, ‘This is a really strange question, but do you know of, like, a cabin in a woods where my band could just go write a record?’” Lalli told them he knew just the place. For that band, their recording label paid for the stay and set everything up. But it raises the question: How much does a stay cost and how will budding artists afford it? Lalli says they are working on ironing that out by applying for grants. “We want to be able to get people up there for sessions that are paid for through grants. That’s what we’re going through right now. Writing these things and finding out what’s available,” he says. "The nature flavors [the music]," Lalli says. "I think it's going to sound different than a record that's made in the woods in California." In the meantime, the space functions very much like their recording space in Burlington, without the added noise. The film Boy Meets Girl is in some ways a very traditional “Will they, won’t they?” love story, but also works to break the stereotype of what love looks like in 2015. Mark Waskow is an art enthusiast and collector – and he’s been very busy. Since he began collecting art objects in 1998, he’s amassed over 15,000 pieces. This month, several films will be screened in Winooski at the Global Roots Festival, which celebrates and represents new Vermonters’ home countries in a different way than often portrayed in the media. Orly Yadin, executive director of the Vermont International Film Foundation, joined VPR to talk about the film festival. A Vermont-based production company is using crowdsourcing and social media to help make their short film Van Money, a heist story that centers around a 1984 Volkswagen Vanagon named Betsy.